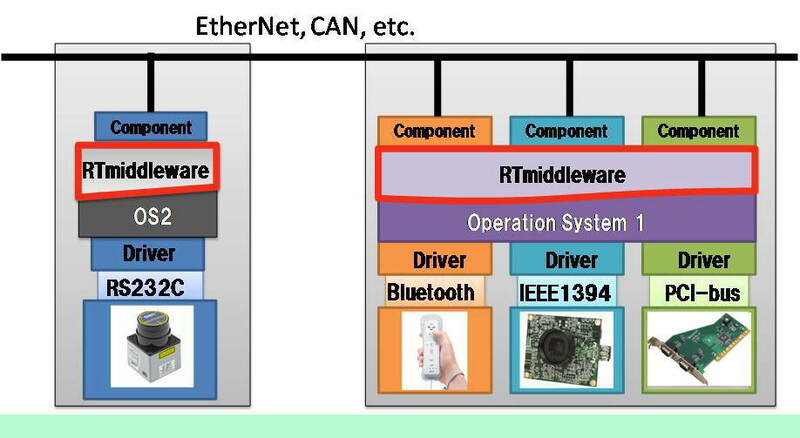 I am currently developing the RTno which helps to develop an embed and RT-middleware available device. 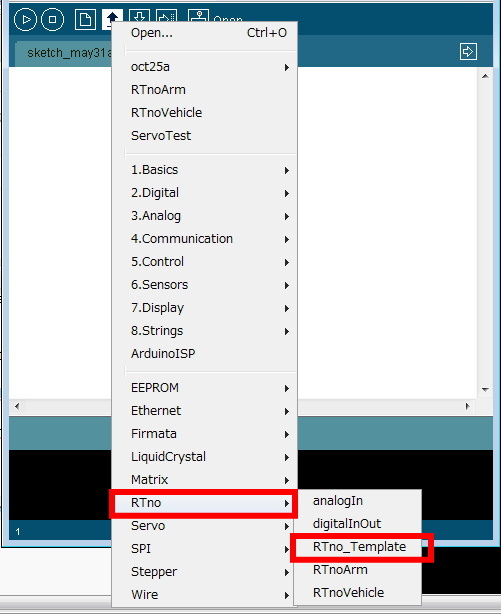 RTno is a library and a bridging software to develop an RTC available device using arduino. 1. What is RT middleware? 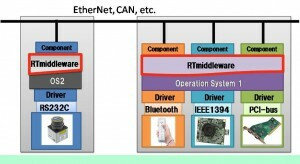 RT middleware is a platform software for robots and robotic system in which robotic element devices are distributedly controlled and assembling system is realized by conjunctioning those software ‘components’. arduino is an embedded prototyping MCU board. 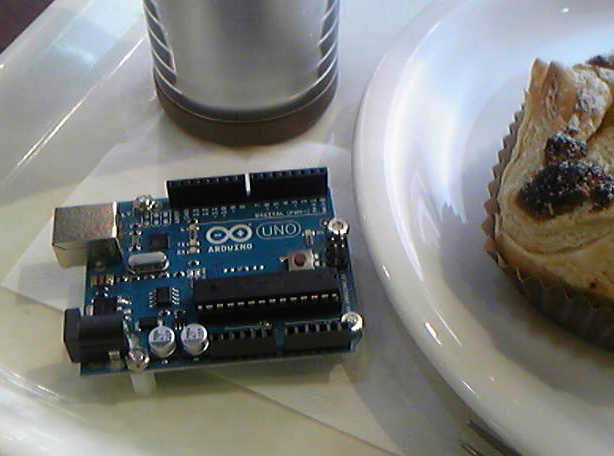 The arduino is opensource software and hardware! 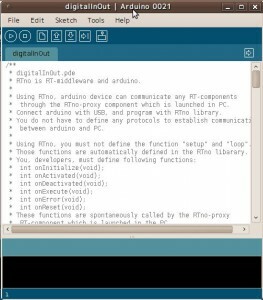 RTno is a platform software which is appropriate for developing an RT-middleware available embedded device using arduino. Let’s see figure below. 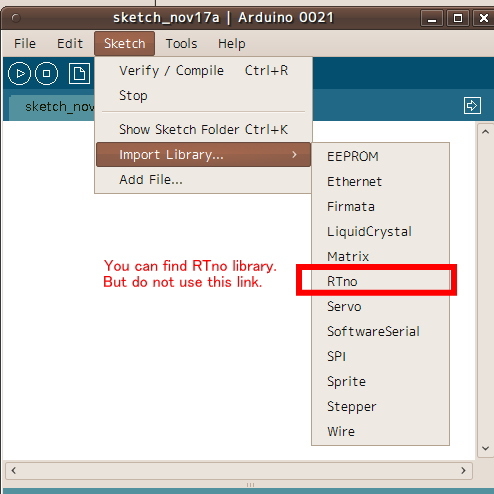 RTno is a framework which is constructed of an arduino’s library (RTno) and bridging software (RTnoProxy). You can use a template source code. Just modify the template, then you can get a lot of advantages of RTno! In developing embedded devices which are used with the PCs, developers must make both microcontroller’s software and PC-side software (APIs). These are RED components in the figure below. Though users can use the APIs (YELLOW part) which encapsulate the communication protocols between PCs and devices, system integrators must read a lot of thick documents of APIs. For researchers usually, they must make both APIs and user programs. The device developers (manufacturers) use RT-middleware, which make it much easier for users to develop their own programs. RT-middleware provides common and intuitive interfaces. However, the manufacturers must develop APIs and RTCs!! 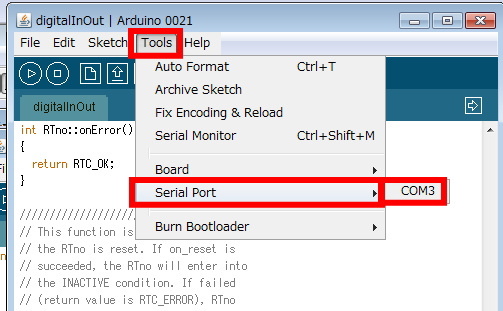 However, RTno framework reduce (often delete) the RTC development, so device developers can focus on the arduino programming. 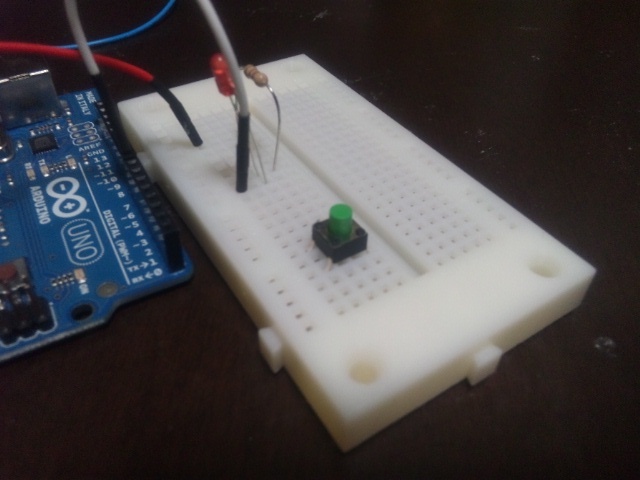 RTno framework encapsulates the communication between arduino and PC (GREEN). Moreover, if you are developing your own device and software, you can create the embedded device which directly communicate with the other RTCs (of course this communication is virtually accomplishment by using the RTnoProxy;-) You do not need to be worried about the complicated communication problems. This may be the fastest proto-typing way!!! 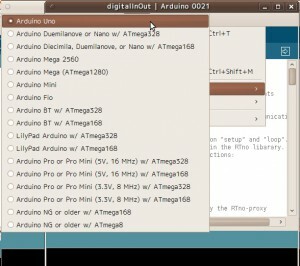 arduino uses 8 bit MCU, AVR, so the RTno and RT-middleware might be too rich, but this toolbox is surely suitable for the begineers both of embedded device programming and RT-middleware. If you already know about the RT-middleware, you can use simple and easy arduino prototyping for your hacks! 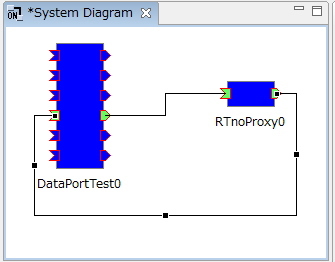 RTno provides the same code when you program your own RTCs. 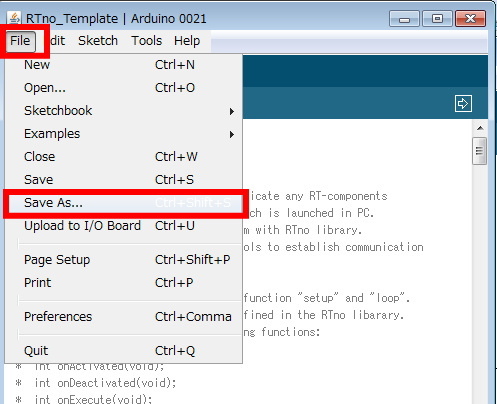 If you are an arduino user, RTno provides very simple and rich communication tool. This will introduce you into the RT-middleware world!! 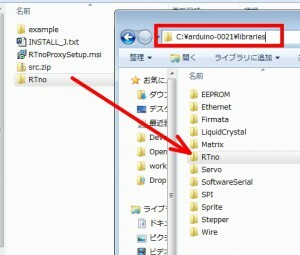 From arduino official site, download arduino_XXXX and extract the zip file. You do not have to any installing process. Just use arduino.exe. I usually place the extracted arduino folder directly on the C drive. 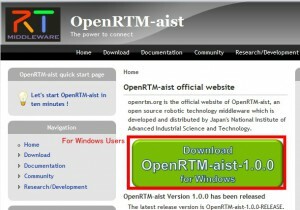 From OpenRTM-aist official size, download OpenRTM-aist C++ Release version. 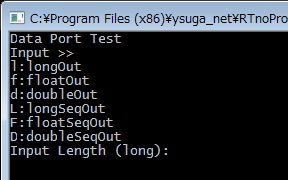 When you extract the zip file, you will get ysuga-RTno-XXXX folder. RENAME the folder to “RTno”. RTno.h ・・・ RTno main header. Some archive software automatically create an intermediate folder, but these files must be directly in the RTno folder. 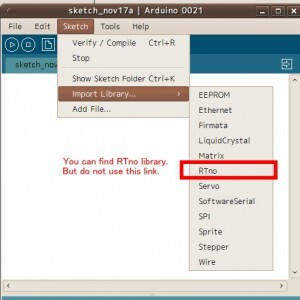 Place the RTno folder in the arduino’s libraries folder. For me, in “C:\arduino_XXXX\libraries\”. 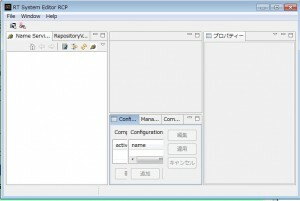 In windows you can install the RTnoProxy using MSI installer. You can also get the newest RTnoProxy code. Build it VC2008 (Windows) or just make in Linux. 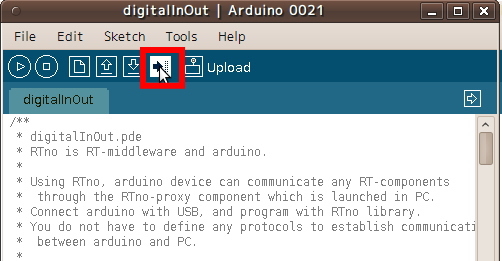 Let’s check RTno using digitalInOut.pde in the example folder. 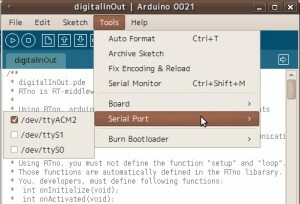 Open digitalInOut.pde from arduino IDE. Usually we modify the code, but now let us use it. If you want to implement your own code from scratch, use RTnoTemplate.pde. Now let us start to write the software to MCU. 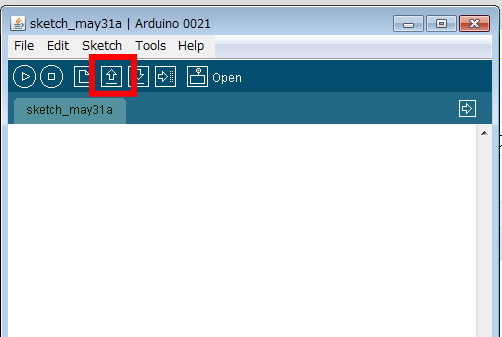 First, check the COM number of the arduino using device manager or something. 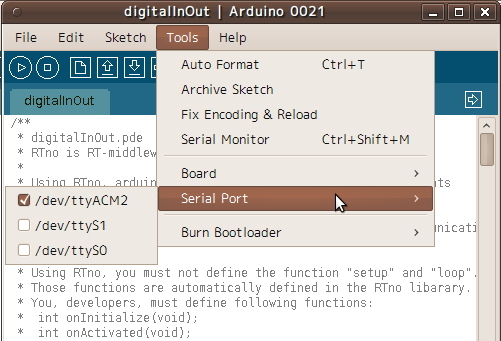 Then change the arduino setting from tool menu. Then, click upload button, then compilation is started and the IDE will upload the program to arduino microcontroller board. When the uploading is done, the board is automatically reset. 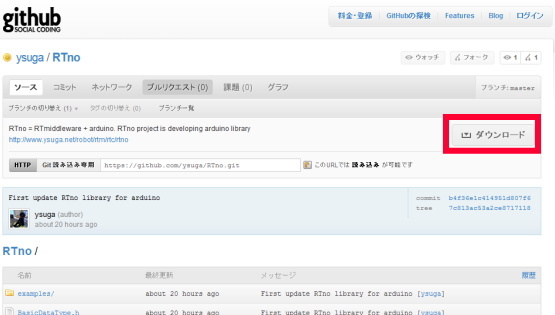 After reset, the arduino is waiting for the request from RTnoProxy launched in the PC. At first, Serial Port setting. 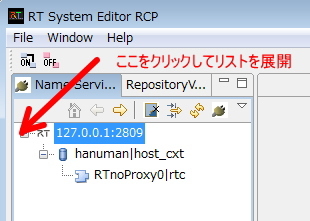 In the installed folder (maybe C:\Program Files\ysuga_net\RTnoProxy) or, bin folder (if you compile it manually), you can find “RTnoProxy.conf”. #is comment. In windows, uncomment the first line and comment out the last line. Then modify the COM number. You can modify the communication rate (boardrate). 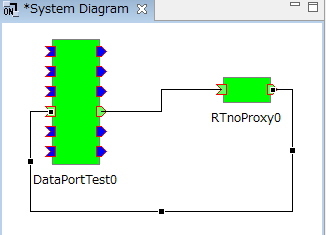 This value, of course, must be equal to the value which is selected in RTno device side. This feature is useful if you use XBee and on-the-fly writing. Windows 7 and Vista has UAC (user access control). It prevents your modification. Solution2) Copy the setting file on your desktop, and delete the original file. After the modification, copy to the original location. 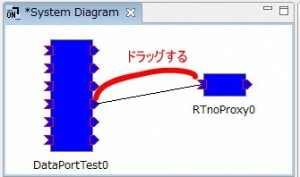 RTnoProxy is an RT component. So first, start Name Service. In windows, you can launch NameService from [Start]>>[Programs]>>[OpenRTM-aist]>>[C++]>>[tools]>>[Start Naming Service]. In Linux, just type “rtm-naming”. But in Linux, usually the default portnumber is already used by CORBA naming service, so use 9999 or other port number. Type “rtm-naming 9999”. 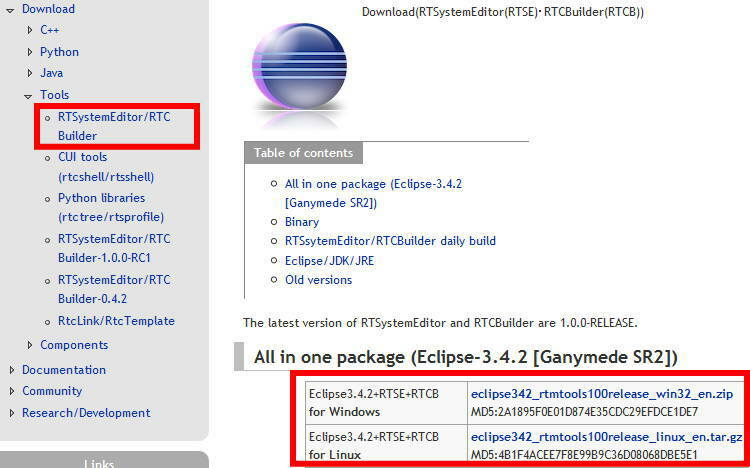 In the installed folder or bin folder, you can find rtc.conf. The important points are the first line, and second line. They are the nameserver setting and execution rate (unit is Hz) respectively. Linux users had better modify the port number. This modification might also be prevented by the UAC in Windows 7 or Vista. That’s all. Launch RTnoProxyComp. You will find the console output like “Opening SerialPort(COM*)…OK.”, and after 3 seconds, onInitialize is called. In the onInitialize function, RTnoProxy and arduino negotiate each other. 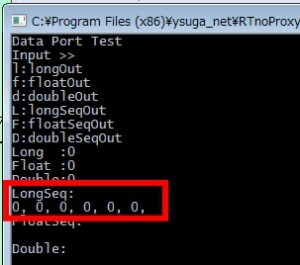 In DigitalInOut, L type (TimedLongSeq) InPort named “in0”, and OutPort “out0” are added. 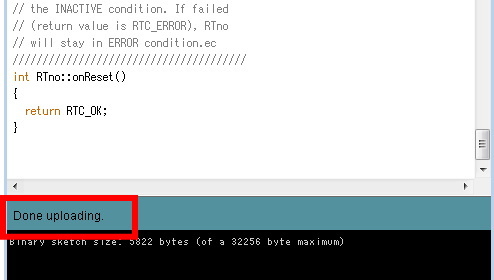 If you restart the RTnoProxy, you must reset the arduino. 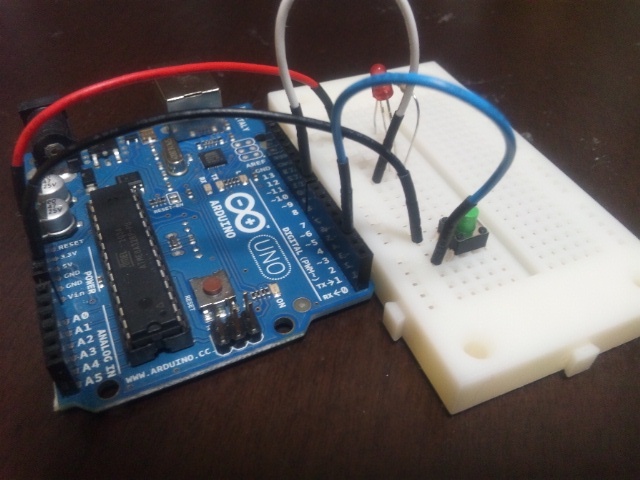 In Windows, the automatic reset is NOT executed so you must reset it manually by pressing the reset button on the arduino board (or disconnect and connect). Launch RT System Editor. In Windows, [Start]>>[Programs]>>[OpenRTM-aist]>>[C++]>>[tools]>>[RT System Editor]. In Linux, please refer the official website. It’s provided as an Eclipse plugin. 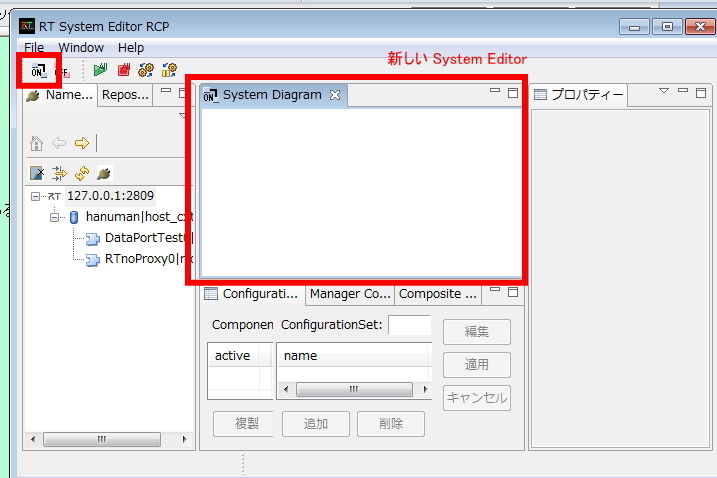 This is RT System Editor. Then, set the IP address and port number of your name service. Then, you can find your name service. If RTnoProxy is launched, the name service view is like …. 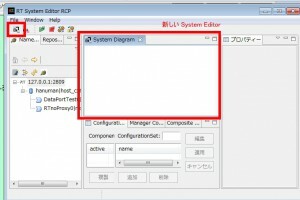 Use RT System Editor to connect them. In the RT System Editor, select [File]>>[Open New System Editor], or click [Online System Editor] button. 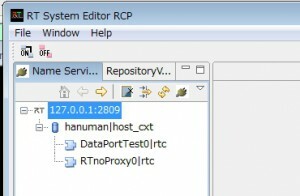 Drag and drop the DataPortTest0 and RTnoProxy0. You will find the DataPorts are added correctly. Connect the DataPorts. 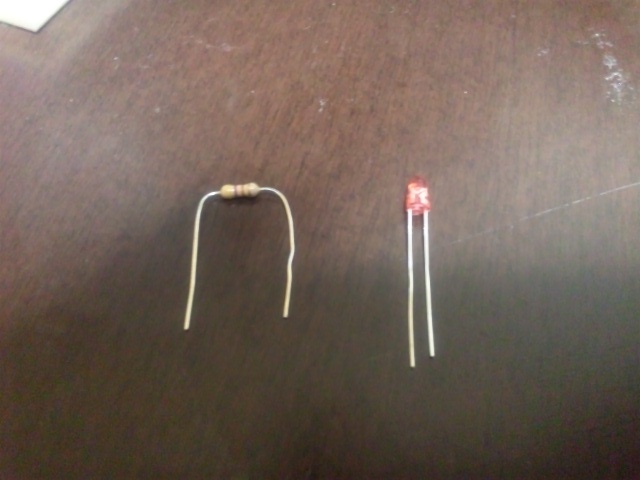 The DigitalInOut has InPort and OutPort (both are TimedLongSeq type. 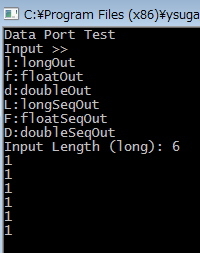 ), so connect the same type ports of DataPortTest. Check the flow type. It should be “push”. Then, activate all components. If they are activated successfully, their colors turn to green. If you check your arduino board, RX and TX LEDs are repeatedly flashing. This is why the arduino and PC are communicating. Check the console of DataPortTestComp. 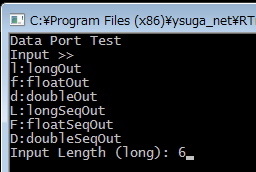 6 dataset of LongSeq type are received. 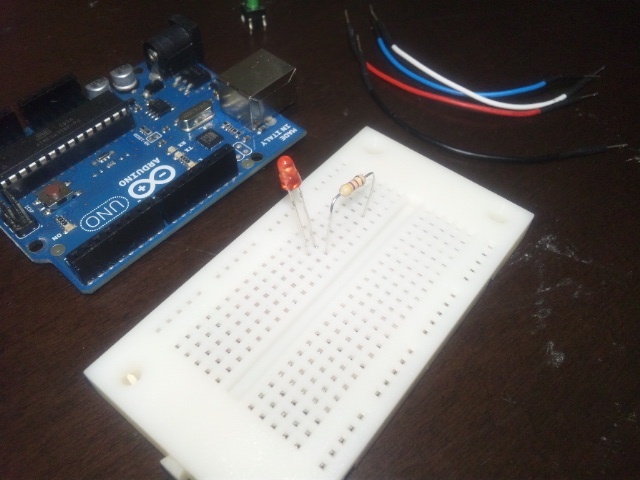 They are arduino’s pin-input (2-7). If you connect switches or some digital sensors, you will find the corresponding data is changed. 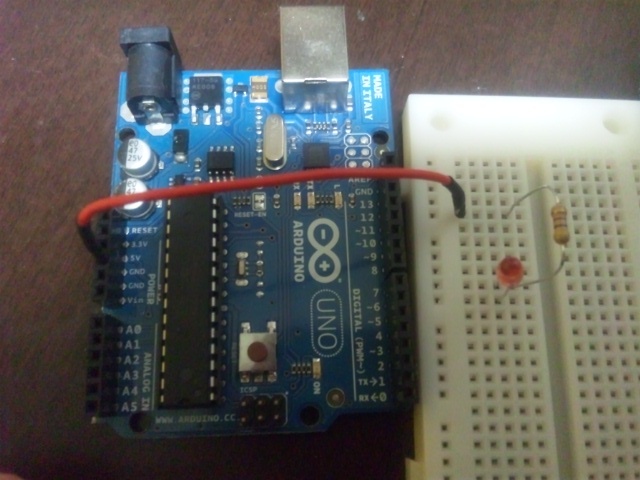 On usual arduino board, LED is connected to 13th pin. Let’s try to flash it. Select the console window of DataPortTestComp, then press shift and ‘L’ key (upper case.). This is sometimes fails if you keep pressing the key. Just press one time. Then, set the number of element of the output dataset. Input ‘6’ and press enter key. Then, input data in 6 times. If you finish inputting the last (6th) data, the dataset is sent to arduino, and LED is turned on. If you send zero, the LED is turned off. * RTno is RT-middleware and arduino. *  through the RTno-proxy component which is launched in PC. * Connect arduino with USB, and program with RTno library. *  between arduino and PC. * Using RTno, you must not define the function "setup" and "loop". * Those functions are automatically defined in the RTno libarary. 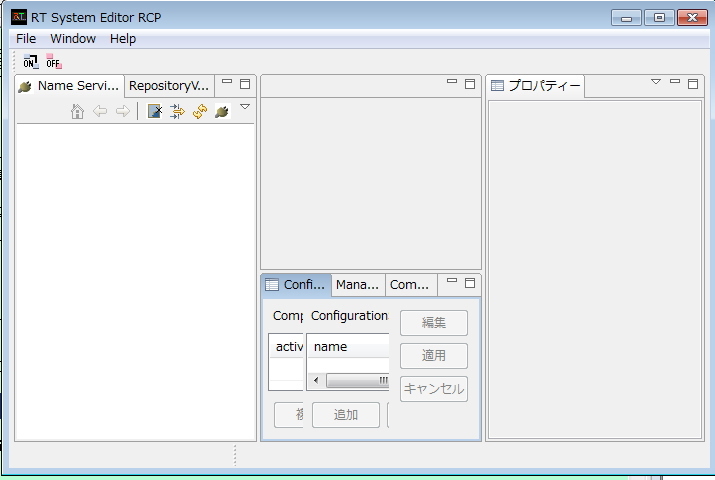 *  RT-component which is launched in the PC. * This function is called at first. * exec_cxt.periodic.type: reserved but not used. * DataPort and Data Buffer should be placed here. * Currently, following 6 types are available. * uncomment the line you want to declare. // through the USB cable. // In on_initialize, usually DataPorts are added. /* Data Ports are added in this section. // sends message to call this function remotely. 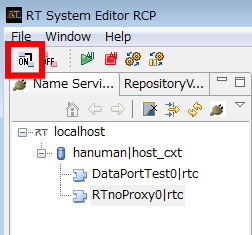 // is RTC_ERROR), RTno will enter ERROR condition. // Write here initialization code. // Write here finalization code. // RTno is in the ACTIVE condition. * Output digital data in Voltage unit. // the RTno is in the ERROR condition. // when the RTno is reset. First, the communication setting is defined. In default, the baudrate is 19200. The exec_cxt.periodic.type defines type of periodic execution, but currently not in use. Next, InPort and OutPort, and the data buffers are defined. Then, in onInitialize, the ports are added. Pin output/input is also set. pin 2-7 are input, and 8-13 are output. Nothing is done in onActivated and onDeactivated. But you can also execute some initialization codes here. In onExecute, you can describe the periodic routine. 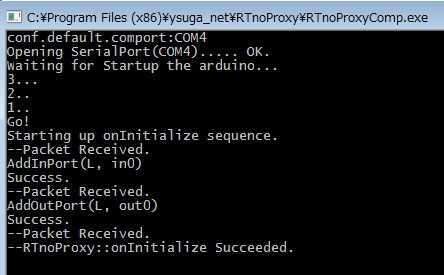 Here, if the arduino receives data with in0In port, the received data is output to digital output pins. The status of digital Input pins is sent to the out0Out port. At first, build your circuit board with bread board. Materials you must prepare are …. They may be included in some kit for arduino beginners. The longer leg of your LED is usually ‘+’ side (Anode). Register must be form by bending its legs. 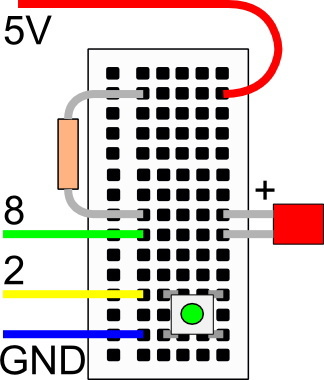 Put your LED and register as shown in the following figure. One side of the register is connected to LED’s longer leg (Anode). Another side of the register is connected to 5V. The other side of the LED (shorter leg) and arduino No.8 pin are connected. Put your switch on the bread board. 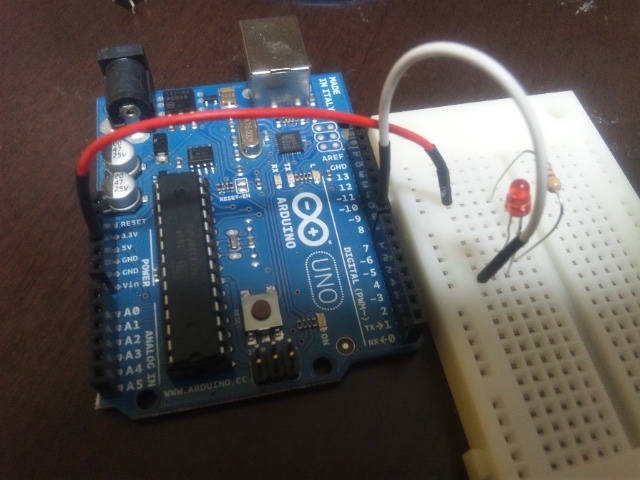 One side of the switch is GND pin, another side is No.2 pin of arduino. Following diagram shows the connection of the circuit. You must install RTno library first. Press ‘Open’ then open the ‘RTnoTemplate’. Save and name other name. Here, I named it ‘myDigitalInOut’. Select your arduino. 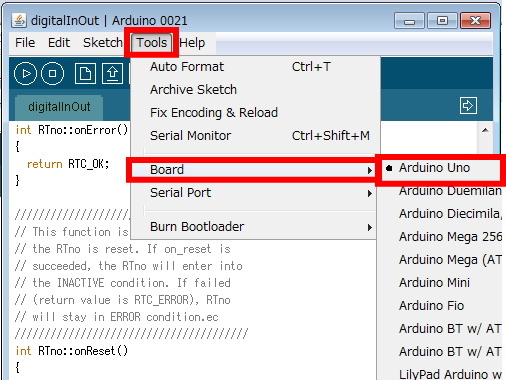 “Tools”>>”Board”>>”Arduino UNO”, if you use Arduino UNO. Select your COM port. You can find the information in Device Manager. Upload the program. Press Upload Button. OK if Done Uploading is displayed. 5. Launch RT System Editor. 6. 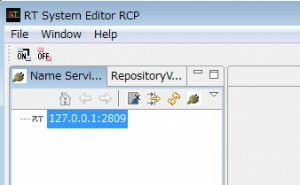 Open ‘New Online System Editor’ in RT System Editor. Clicking the button below is also ok.
7. Drag&Drop RTnoProxy0.rtc and DataPortTest0.rtc from NameService View to System Editor. 10. Select DataPortTest’s console, and input ‘L (greater case)’ then press enter key. 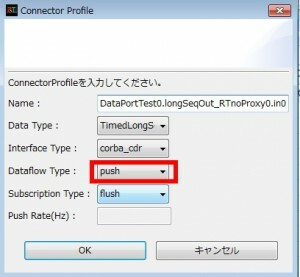 This make the dataPortTest RTC to DataSending Mode. 11. Input length of the array 6. 13．If the last 6th data is input, the data array is sent from the output port. 14．LED is on if data is “0 0 0 0 0 0”. LED if off if “1 1 1 1 1 1”. 15. Input ‘v’ in the DataPortTest console and press enter. You can find the data sent to the input port. 16. Compare input data if switch is pressed (or not). 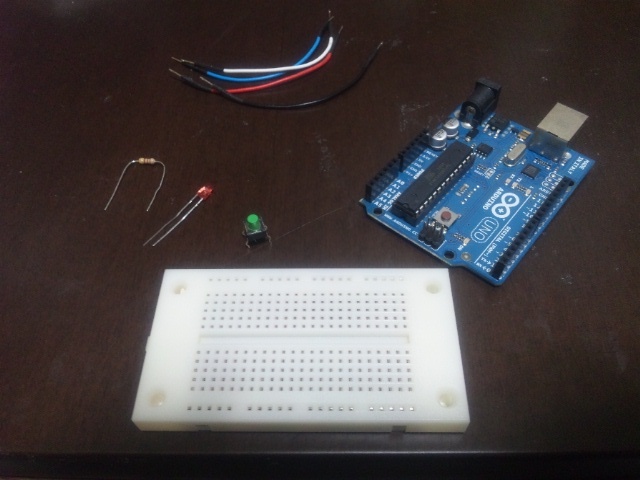 This entry was posted in rtc and tagged arduino, robot, RT-middleware, rtm, robot, 組み込み on Tuesday June 18th, 2013 by admin.